Elizabeth Taylor, the actress who dazzled generations of moviegoers with her stunning beauty and whose name was synonymous with Hollywood glamour, died on Wednesday in Los Angeles. She was 79. In a world of flickering images, Elizabeth Taylor was a constant star. First appearing on screen at age 10, she grew up there, never passing through an awkward age. It was one quick leap from “National Velvet” to “A Place in the Sun” and from there to “Cleopatra,” as she was indelibly transformed from a vulnerable child actress into a voluptuous film queen. The first Elizabeth Taylor movie I ever watched was Cleopatra, which co-starred her great love Richard Burton. It was one of those old flicks shown on Ch. 9 during the Martial Law years. She was such a great beauty, so lovely and powerful she fit the role of the Egyptian pharoess to a T, while Burton was oh-so-ruggedly handsome. Any discussion or writeup of either two wouldn't be complete without mentioning their love affair that got them condemned by the Vatican, and their twice-over marriage (and divorce). But their love was just "too big too last", according to a story in Vanity Fair, and one of my favorite pieces ever written on their relationship. Sometimes her ethereal beauty just seemed to overpower the screen, making the audience forget how great an actress she really was. And those mesmerizing violet eyes...wow! she was just so lovely to look at. Check out VF's slideshow here. But she was indeed one of the best actresses in Hollywood - even Paul Newman, her co-star in Cat on a Hot Tin Roof (one of my favorite Taylor movies!) thought so. He pays tribute to her in a Turner Classic Movie bit in 2007, just a year before he passed away. 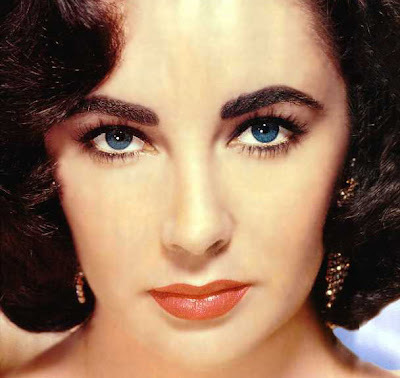 Rest in peace, Elizabeth Taylor. We will always remember you with great joy and much affection.